The relevance, importance and or the benefits derivable for the use of Shea Butter for hair treatment is the center of this article. It is noteworthy to say that one can not ignore this alternative hair treatment and its composite benefits. Towards this, this article will take a cursory look at this alternative hair conditioner. However, the caveat is that there should not be any misconception to think that it is only useful for hair, no, not at all. 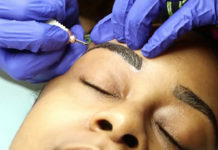 It has a wide range of usage, skin application inclusive, but specifically, this article is on the use of hair. You are therefore encouraged to read on. Shea Butter is a fat taken from the nut of African Shea tree. The chemical name of the tree is known as “Karite Tree”. It looks like butter in the real sense, yellowish in color, especially when it is in the raw form. That is when it is unrefined; on the other hand, the refined and ultra-refined is ivory or white. Now, let us take a cursory look at the effects and benefit derivable from the use of Shea butter for hair. The history or the origin of Shea butter traces back to the Sub Saharan West Coast of Africa. It moves through Senegal to Sudan and extending to Ethiopia. Research revealed that during the reign of Cleopatra, large quantities of Shea butter jars were transported to that country. In those good old days, Shea butter was the primary source of body cream. It is in the records that the famous Queen of Sheba used this cream. It will interest you to know that, till date, Shea butter is still very much in use in Africa. It is also gaining acceptance in the western world due to the benefits to health that it possesses. Why The Use of Shea Butter? Now can we ask this pertinent question of “why the use of Shea butter”? The answer is that Shea butter is mostly a component of moisturizers, creams, lotion, and other related beauty products for both skin and hair treatment. Experiment on the Shea butter had revealed that it has anti-inflammatory properties and anti-oxidants, which are organs that reduces damages to skin disease and also repairs the skin and the hair damages. Lastly, Shea butter has a mild sun protection factor (SPF). Some people love to use Shea butter for hair. The following are the benefits that are derivable from the use of Shea butter for hair. If you have the curiosity about the benefits and secrets tips of Mango butter, you can read out our Mango butter benefits article. 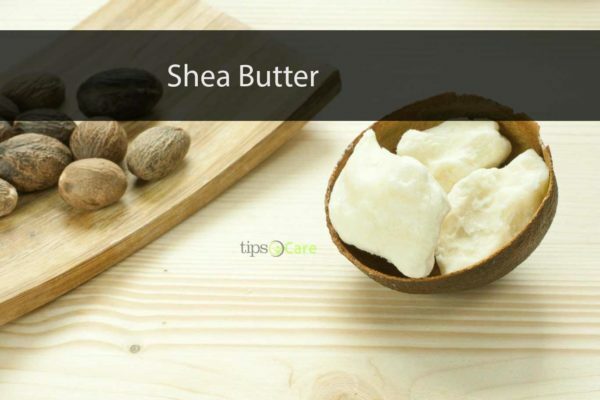 Now come to our Shea butter article and continue reading. Repair of Damaged Hair: One of the uniqueness in the Shea butter for hair is that it can help in the restoration of damaged or lost hair. 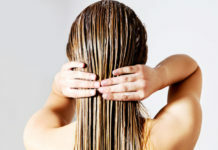 Do not forget that the damages done to hair or the main reason for the loss of hair are traceable to chemical reactions. Hair treatment from the use of straighteners, perms, and curlers always lives with it the adverse effect of hair breakages or hair loss. The Shea butter is noted for its repair effect on the damaged hair, as it retains the natural moisture of hair. That’s how it gives protection to the hair against sun damage. It Prevents Hair Loss: Shea butter has a preventive effect on the loss of air. The fatty acid components of this butter conditions the scalp and the hair itself in a healthy situation. In addition to this, Shea butter releases nutrients into the hair that makes it ever glowing and freshly. The anti-inflammatory property of the butter is another prevention of hair loss. Regular use of Shea butter will, therefore, make your hair grow and healthy. Smoothes Dry Hair and Itchy Scalp: This natural hair treatment also has the quality of making your hair look like ever smoother. Its anti-inflammatory qualities and rich fats get absorbed into the scalp, yet not leaving any greasy clue. Treatment of Split End and Breakage: It exerts a moisturizing effect on the hair and scalp, thus strengthening the hair strands and reduces hair breakages. It is very rich in vitamins A & E.
A Natural Hair Conditioner: The availability of vitamins A & E in Shea butter makes it a natural and excellent choice of hair conditioner over other established one that you can ever think of. If you are considering effectiveness in the locking of moisture, then Shea butter is the better option over all other hair conditioners. The moisturizing effect of the two vitamins begins from the root of the hair to its tip. It is a total work of hair conditioning. It Keeps Curls in Place: The application of Shea butter curtails hair bristling and revitalizes. If it is to talk about hair softness, then Shea butter is the better alternative hair conditioner. Again, because, it does not contain greasy nature, it does control and spread the oil on the scalp. 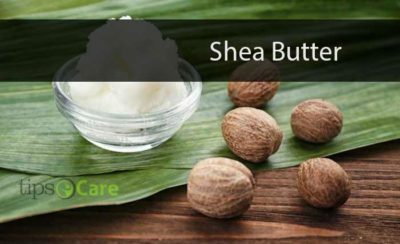 Having known what Shea butter is, the history and the benefits derivable from its usage, this writer’s point of view highly recommends it. It is a product that is gradually gaining broader acceptability in the western world. It is also important to stress that, it is affordable and pocket-friendly.